In less than 48 hours, real, NFL football returns. Oh, how I have missed you. I’m sure that you have your fantasy football team in tip-top shape, ready to go for the season, but before you call it the total package, I have some names for your watch list. I’m doing this in place of this week’s “On the Wire” waiver wire feature. These players are names that shouldn’t be left in the free agent pool long this year. So if you’re holding onto a backup tight end or defense as we enter Week 1, consider claiming these guys early. No one puts Kareem Huggins in the corner. Ever since the Bucs cut Derrick Ward, Huggy’s fantasy star has been climbing, but he’s still not drafted in every league. Cadillac Williams may have a deal with Father Time (or the father of knee injuries, if there is one), but unless he runs with a lot more speed and energy than he did last season, he’s not going to blow many defenses away. Instead, the Bucs may see fit to inject a little Huggy Bear in the offense. Keep him on your radar. 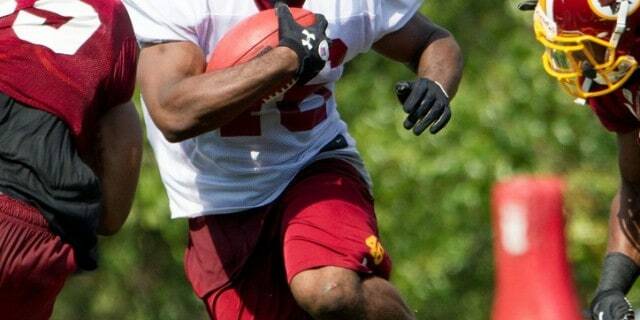 There’s plenty about this converted running back that intrigues me. Sure, I mentioned him when I made fun of all the Wes Welker comparisons we’ve gotten this offseason, but that doesn’t mean I don’t think he could actually be a Wes Welker. At his small size, he’s probably capable of being a Darren Sproles clone as well. The Chiefs clearly want to use him in every way possible. He’s practiced in almost every position on the field, and he’s been lined up as their Wildcat quarterback. The Chiefs may not score very many points this season, but McCluster could be on the field quite a bit when they do. He’s not the sexiest pick on the block, but Maurice Jones-Drew’s backup got a lot of attention when it was rumored MJD had gone under the knife this preseason. While he makes a great handcuff for MJD, it remains to be seen how much he’ll really do this season unless MJD goes down. For now, I’ll keep my expectations low and only suggest you keep him on your watch list unless you’re relying heavily on MJD this year. Forgotten on the Browns roster, Davis had all the hype in the world last season as a rookie. Injury kept him from showing anything to us in 2009, and when the Browns drafted Montario Hardesty, everyone scratched James Davis off their sleeper lists. Well, that may have been a bit too soon. 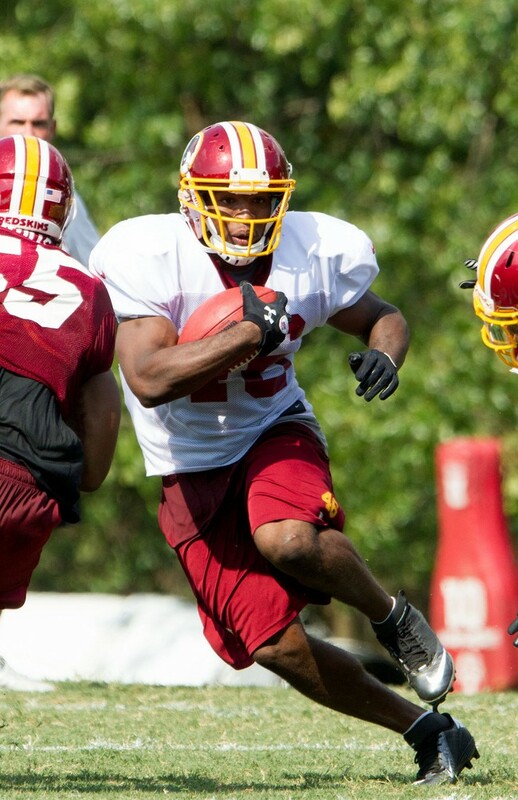 With Hardesty out for the year, Davis will be the one waiting in the wings behind Jerome Harrison and Peyton Hillis. He had a strong preseason, and even though I feel that Hillis will see the field on a regular basis more than Davis, Davis is the long-term investment with the highest payout. I don’t know if you remember how Tom Brady used to throw to his tight end. Ben Watson trailed off in New England in recent years, and a platoon of veterans muddled the stat lines during the Randy Moss and Wes Welker era. But when he has a target on the field, Brady likes to use it. Gronkowski is that new tight end target. The rookie has had a great preseason, and if you waited to take a tight end, Gronkowski might just be the upgrade you’re looking for after Week 1. Say what you will about Rashard Mendenhall’s chances to be a full-time back this season, but I’m worried. Mike Tomlin says Redman will be used in short-yardage, and I believe that. I was already a bit of a Mendenhall doubter, and this news makes me feel even more uneasy about the young Steelers running back. While Redman’s not exactly a handcuff, I’d strongly consider snagging him on your roster if you’re also carrying Mendenhall just to cover all your bases until this shakes out. The Seahawks cut T.J. Houshmandzadeh and promoted Williams to the starting lineup. It seems this big (and I do mean big) wide receiver has finally lost the pounds and become a prospect worth keeping an eye on. Seattle doesn’t boast the most potent offense in the land, but if Hasselbeck stays healthy, there’s a chance Pete Carroll could turn this former USC wideout into everything he was supposed to be coming out of college. Along those same lines, you could see Butler emerge as a receiving threat this year if Hasselbeck stays upright. We don’t know how much he’ll see the field right now, but he’s a burner and could add an explosive element to this offense down the field. Since no one really knows who he is, you can probably just keep him on a watch list for now. Now if that’s not enough for you, you’ll find more sleepers to pad your roster in David Sabino’s 11 fantasy sleepers at SI.com. I like his picks, but keep in mind that many of them are long shots — hence, sleepers.